January 30th, Taipei, Taiwan – BIOSTAR introduces the A68MDE micro-ATX motherboard for home entertainment PCs. 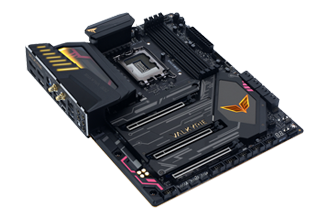 This is the latest addition to BIOSTAR’s line-up of AMD FM2+ motherboards and features the entry-level A68H chipset which is AMD Radeon Dual Graphics-capable. The A68MDE supports the previous generation AMD APUs with up to 32GB of the more affordable DDR3 memory up to 2600MHz when overclocked. The BIOSTAR A68MDE offers instant savings when paired up with older but still-capable technologies. The BIOSTAR A68MDE uses the smaller and widely compatible micro-ATX motherboard form factor. The AMD APUs offers improved graphics performance when set up with Hybrid Crossfire to instantly upgrade your system with better graphics for gaming and entertainment. With DDR4 prices on a hike today, the A68MDE’s DDR3 support offers huge savings for builders on a tight budget. It also comes bundled with a free BullGuard Antivirus Software, another instant saving for builders. The A68MDE sports a built-in DVI connector and DirectX 12 support. Experience Fastest data transfers at 5 Gbps with USB 3.1 Gen 1 offering transfer speeds 10X faster than USB 2.0 components. The A68MDE supports 2 DDR3 memory up to 2600MHz in overclock. Moisture-proof PCB meets high density and high reliability requirements for moisture proof. Low resistance design can significantly reduce the current out of energy loss. Set of premium features that offer top-notch protection to ensure longevity of the motherboard. The BIOSTAR A68MDE rear I/O ports have 1 x PS/2 Keyboard/Mouse, 2 x USB 3.1 Port, 1 x DVI-D Connector, 1 x VGA Port, 1 x RJ-45 Port and 3 x Audio Connector. The BIOSTAR A68MDE offers builders an affordable entry-level desktop using previous generation AMD A-Series APUs and cheaper DDR3 memory. It offers highly-capable graphics power for gaming and entertainment, perfect for home and office systems. BIOSTAR A68MDE Motherboard comes with an MSRP of $44.99.